As I mentioned in a recent Facebook post, the time has come to start transitioning JustBridles.com from a retail website into an informational one and that is what I am doing. – All the old size charts from the brands and models that JustBridles.com carried when it was a retail website. – Links to the Liquidation Price List of Parts that I still have left. I am still trying to figure out the best way to structure this new informational site, so please bear with me while I get it all together. 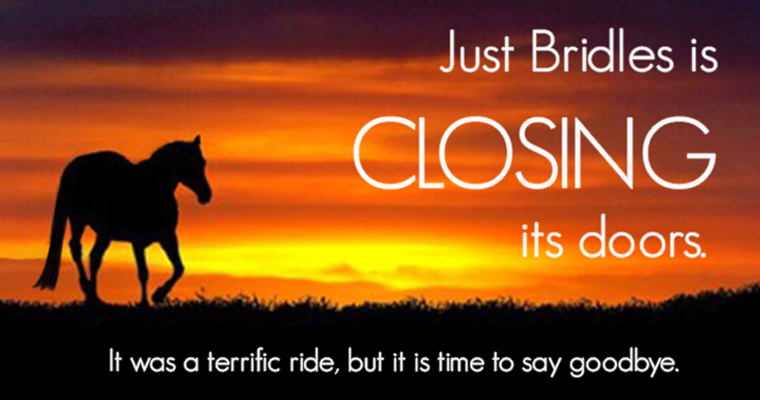 I have made the very tough decision to actually close Just Bridles’ virtual doors for good. I am liquidating what inventory I have left. (YAY for good deals!) All remaining inventory is priced at least 40% OFF retail! Actual shipping cost will be calculated and charged based on the order size and shipping preference. 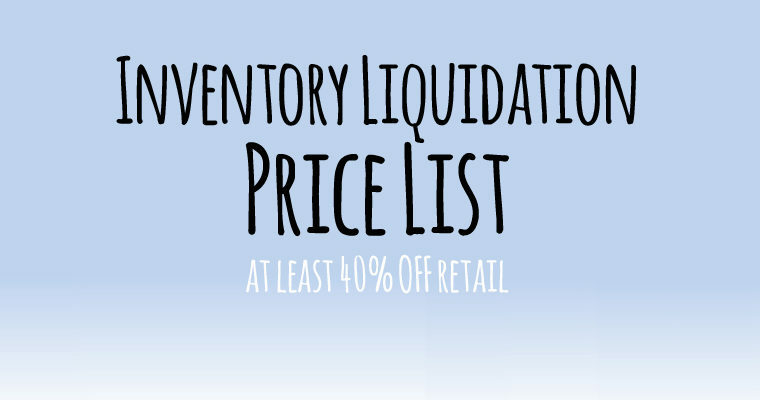 Please read the instructions on the lead in page with the link to the Inventory Liquidation Price List, it will tell you exactly what you need to do to place an order. To get to this page click the graphic below. It has been a pleasure serving you these past seven years!